Flexible, impactful and customized to your needs. deal with challenges that you’re facing in life? understand and process difficult emotions? In society today with our modern lifestyle we are bombarded with impressions, opportunities and demands. You can easily feel overwhelmed and life can make you feel like your falling behind, that you don’t have enough time, that you’re not enough. If that is the case for you I want you to know that you’re by no means the only one. When we look closer at how we function as humans we’ll discover that the pressure we experience comes both from the outside and the inside, but the body doesn’t distinguish between the two. When we feel overwhelmed and stressed we need to make changes both on the outside and the inside. Only working from one perspective will keep you coming back to a similar sensation. You can learn to understand more in depth how your mind works, and how you can create more spaciousness from the inside. By cultivating your awareness and learning mindfulness techniques you can find more inner peace, which enables you to more intentionally navigate your daily life, your relationships and your emotional life. It’s easy to feel powerless when life get overwhelming – trust me I know how it feels – and this is where mindfulness and meditations are potent tools to help you regain personal power and agency. You’ll experience that you can gain a wider perspective and do what’s best for you in the situations present. You’ll reap great benefits by incorporating mindfulness and meditation into your life. Physical exercise has become a natural ingredient in the path to wellbeing, you can think of mindfulness and meditation as a form of mental fitness that increases your mental health. By practicing regularly you’ll strengthen not only your mind, but also your inner resources. We know today how interlinked mind and body are, which is why it’s detrimental to work with and attend to both in order to live a life with wellbeing, balance and health. 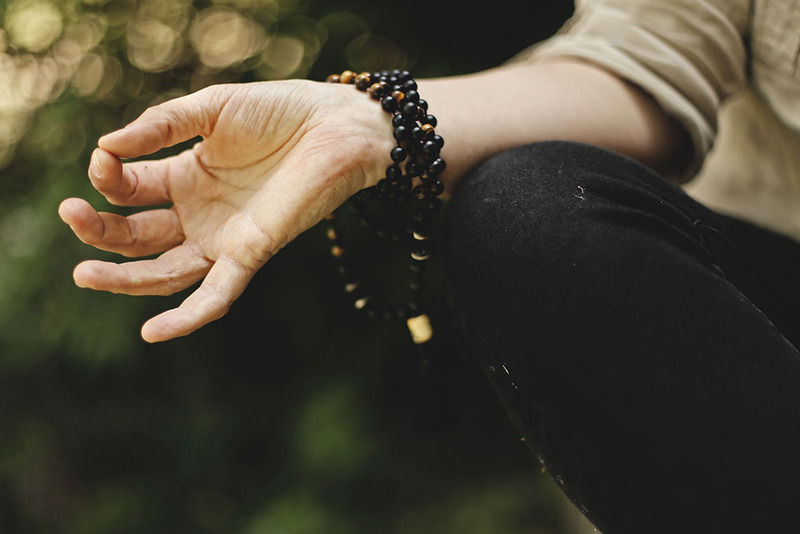 When you start practicing meditation it can be especially challenging in the beginning There’s a widespread myth that you only meditate for real when your mind is completely still, but that's far from the truth. On the contrary you’ll often experience what feels like more noise and restlessness as you being to meditate. Many people believe that they’re doing it wrong and easily lose motivation when they start learning on their own. For that reason I recommend combining self-practice with individual classes. In that way you’ll be inspired to keep motivated and you’ll benefit from all the knowledge around this ancient practice of meditation that’s been passed down throughout millennia. I’ve time after time met people who tell me “I don’t meditate because I’m not able to still my mind”. But that’s like saying I haven’t learned to speak English, because I don’t speak the language already. Meditation is a technique that needs to be learnt and practiced just like any other technique. You cannot expect perfection from the beginning, however it’s been proved that you reap the benefits right from the start. In mindfulness and meditation we work with the mind, the breath, and the body. You’ll experience how they are directly connected, and I’ll guide through a variety of techniques so you can choose the ones that really works for you. Meditation can be practiced while sitting, walking, and even lying down. We’ll begin with the basics of sitting meditation and directing the awareness to the breath. Since I’ve specialized in different types of movement meditation, I’ll teach you some of these practices as well if they resonate with you. In the individual classes we’ll look at the challenges you’re facing and find the tools that enable you to work with them. In each session you’ll be guided through one or more exercises and in conversation we’ll uncover your biggest challenges. In between the sessions you’ll practice the techniques you’re learning, and in the following session we’ll look at any questions or doubts that have materialized for you. Team up with friends or acquaintances and form a group of maximum five people. The session will give you a general introduction to meditation and mindfulness techniques, which you’ll practice in between each session. You’ll have the opportunity to ask questions and get guidance on the challenges that you’re facing, however since you’ll be part of a group there’s a natural limitation on how deep we can go with each personal problem. The benefit of being a small group is that there’s often similarities in the challenges we face when embarking on practicing meditation and mindfulness so you can r learn from each other. Fill out the form below to book one or several sessions. Indicate whether you’re interested in individual sessions or group sessions. The sessions are online so you can join from the comfort of your own home. It will happen on video chat via zoom. I’ll send you a link that gives you access to our private session. All you need is a laptop/smartphone, headphones and a quiet place where you can sit uninterrupted. If you want to know more about me and my personal story read here. For my credentials take a look here. In addition to having working 1-1 and with small groups online, I’ve taught at BanyanTree Rehab Center, Thailand, New Life Foundation, Thailand, The Yoga Tree, Thailand, Københavns Yoga, Denmark, Praxis für Heilkunde, Germany, YogaFlow VLC, Spain, Lotus Loft Valencia, Spain and facilitated retreat at Solterreno, Spain.